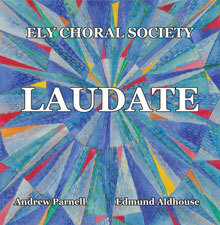 Ely Choral Society started as an adult education class in 1961 and has grown to a choir of some 125 mixed voices today. Members are not auditioned but aspire to the highest possible standards. The choir performs a wide and exciting repertoire ranging from traditional classical works to modern and specially commissioned pieces. Each year the choir gives at least one major concert in Ely Cathedral and other concerts are held in local churches and schools. It occasionally collaborates with other choirs and has undertaken tours in Europe. Concerts were held in Vercelli, Italy in 2008, Germany in 2010 and Venice in 2016. In 2010, it founded the Ely Youth Choir so that the next generation of choral singers can access quality training in an after-school setting and take part in concerts and local events. Ely Choral Society funds the Youth Choir’s core running costs as part of its Public Benefit work as a Registered Charity.